Some would say that Van Gogh categorized his own works as he referenced them as studies, pictures, paintings from nature or studio repetitions and as part of a series or as independent pieces. However, with over 2,000 artworks to his name a catalogue system is the best way to keep track of all these paintings and drawings. Over time, 2 main cataloging systems have emerged which organize Van Gogh’s works. Often when you see an image of a Van Gogh work it will indicate F numbers or JH numbers. Below you will find an explanation of the two different systems. Jacob-Baart de la Faille was the first to attempt to compile a catalogue raisonné of Vincent van Gogh’s works after reading a 1917 article titled On the Literature Concerning Van Gogh (Over de literatuur over Van Gogh). Faille’s catalogue, the four-volume L’Oeuvre de Vincent van Gogh. Catalogue Raisonné was published in 1928 and then revised and republished in 1970, as The Works of Vincent van Gogh. His Paintings and Drawings, by an editorial committee. The second version has been considered a complete catalogue of Van Gogh’s works. Faille’s catalogue, numbers each work with an F in front of the number. 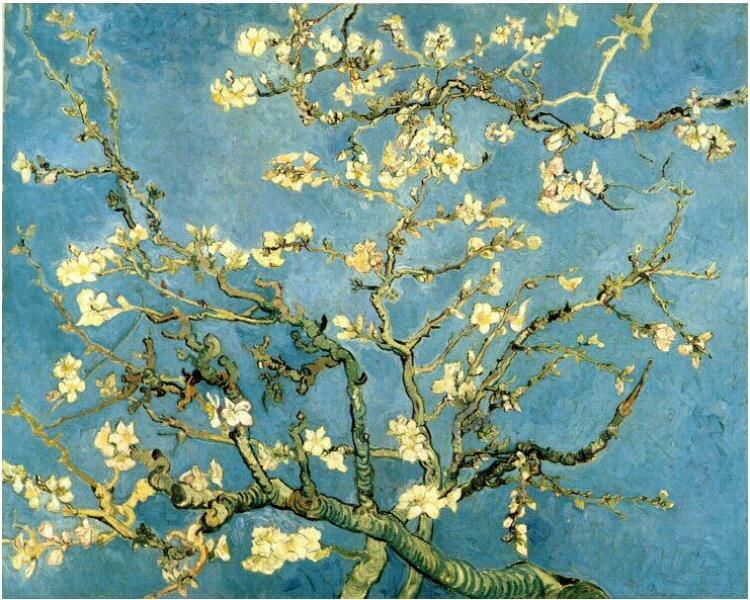 Van Gogh’s Blossoming Almond Tree is cataloged as F671. Jan Hulsker, a Dutch art historian, helped to establish the Vincent van Gogh Foundation and the Van Gogh Museum in Amsterdam, and was the second to attempt a catalogue raisonné of Van Gogh’s works. His catalogue was published in 1978 and was revised and republished in 1989. Hulsker took Faille’s numbering system and updated it chronologically based on research of Van Gogh’s letters as well as more recent research. His catalogue numbers are preceded by a ‘JH’ and begin with Van Gogh’s earliest sketches and ending with the works created just before his death in July 1890. In Hulsker’s numbering system Blossoming Almond Tree is cataloged as JH1891.